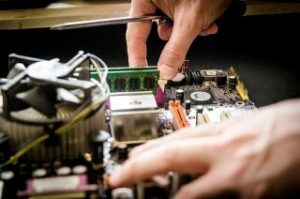 When your technology breaks down – or even if you are experiencing a slight issue that you need a little help and support with – you’re going to need to look for a technician and expert who can help you bring everything back online as soon as possible – and so that you can get back to normal as soon as possible. This is only understandable! However, if you are set to take anything as crucial to your life and work as a laptop, a phone or otherwise in for repair or patching, you are going to need to make sure that you partner with a reliable technician who can assure you of the best results for the best prices. You shouldn’t always be swayed by the best deals – as there is something of a checklist you will need to pay attention to should you need to get involved with a technician in the near future. Reliability, however, is generally very easy to spot. Honest, forthcoming experts and technicians will be very open as to what they can and can’t do for you – this should be obvious the first time you chat with them – and what’s more, you should be able to readily access a host of data as to what they have been able to do for people like you in the past. Whether they have a comprehensive portfolio, a website with contact information or even a customer satisfaction policy which is easily and readily available to read, these are all hallmarks of a technician or firm who will be able to do their best for you and won’t leave you high and dry. While there may be some technicians who operate on a mobile basis or even out of the own homes, experts operating a storefront will generally come across as more reliable – and what’s more, a local phone number and local reviews, too, will help to solidify their reputation. Check a technician’s customer history by looking at Facebook or Google reviews, for example – if they are generally glowing, you can of course rest assured that this will be the best avenue for you to take. That’s great news – obviously! An abundance of photos and images of the store, technicians and experts involved, etc., will also help to confirm that you’re looking at a team who will be able to help you to the best of their ability. Here at Tech CPR, we not only assure our customers of the best possible tech fixes for their money, but we also have plenty of evidence to back up our authority. We’re award winners in our region – and we’re also registered with the likes of Which? and Microsoft as trusted traders and refurbishers respectively. Always look for credentials such as these before you choose the technician for your needs! Tech CPR Ltd are a Chesterfield-based technician service, ready and waiting to help you with all your gadgets and gizmos. Call us today to learn more on 01246 452319, drop us an email or even pop in store!